Fast, secure and reliable PmWiki hosting for your ecommerce website with PCI-Compliance. 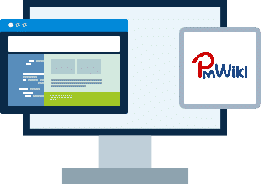 Hosting for your PmWiki website that just works. Servers optimized to give you the best PmWiki experience possible. We’ll even install PmWiki for you! We’ll move the PmWiki site for you! Softaculous auto-installer – Install PmWiki in just a few clicks. GD support – Needed for many PmWiki plugins. Zend and Ioncube support – Needed for some PmWiki plugins. 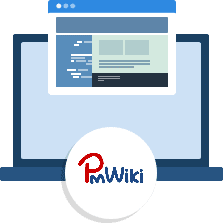 PmWiki is a wiki-based system for collaborative creation and maintenance of websites. PmWiki pages look and act like normal web pages, except they have an “Edit” link that makes it easy to modify existing pages and add new pages into the website, using basic editing rules. You do not need to know or use any HTML or CSS. Page editing can be left open to the public or restricted to small groups of authors..